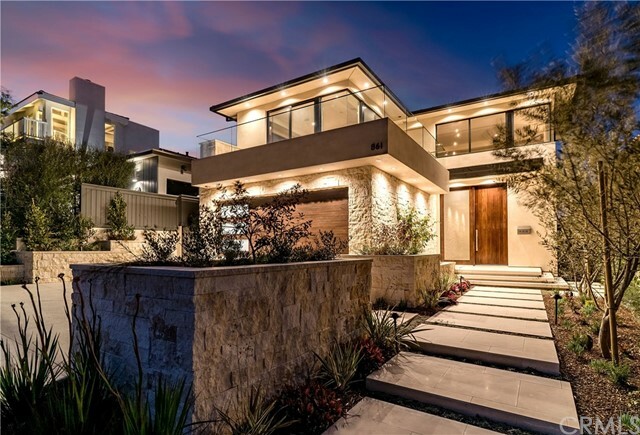 Tucked in just over the top of the iconic 8th and john street intersection in mb’s prestigious hill section, is this stunning, meticulously-crafted, luxurious warm modern new construction home that features panoramic mountain, downtown la, city and jetliner views. 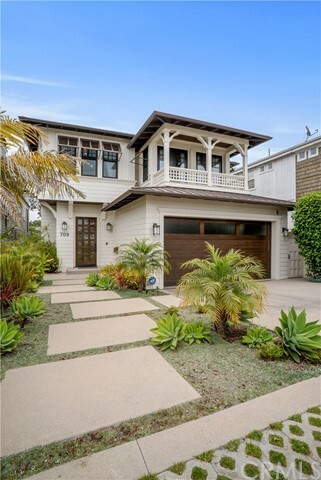 This luxurious home is walking distance to downtown manhattan beach and consists of 5,656sf with 5 bedrooms, 6. 5 baths, an office suite, theatre, wine room & full basement. Enjoy the outdoors with an ample backyard and nearly 1,000sf of exterior living area accessed via floor-to-ceiling fleetwood sliding doors. Also included is a large covered deck with skylights, ceiling mounted outdoor heaters, outdoor fireplace & a beautiful summer kitchen which spans the wind-shielded eastern side of the home’s top floor, offering the lucky owner an unmatched year-long exterior dining & entertaining experience. The entry level offers 4 full bedroom suites, including a spa-like master bathroom with a separate parlor & direct access to a covered, private patio with a romantic fireplace opening to the backyard. One feels like they are in a four seasons suite. The full basement has a large recreational area, a wall of built-ins with a microwave, sink, under-counter beverage fridge, plus a designated tv area, a walk-in wine cellar, a 5th bedroom or gym, a 3/4 bathroom, 2 huge storage rooms & a spacious theatre with a large, custom, automated screen. This impressive home is filled with thoughtful amenities & custom features. 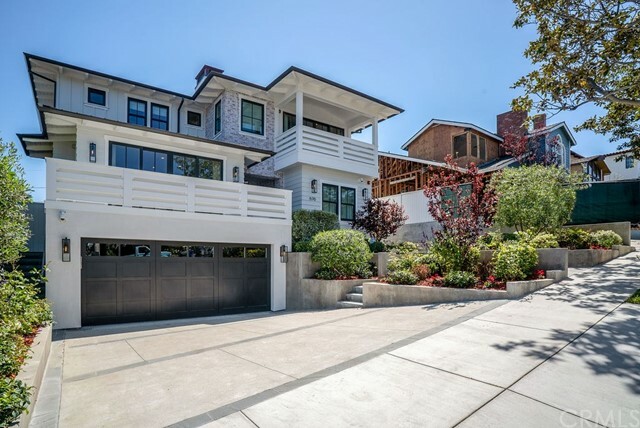 This stately home in the coveted hill section of manhattan beach is a multi-level five-bedroom, six-bath wonder with over-the-top amenities and gorgeous ocean views. Welcoming you to this luxurious residence is the formal sunken living room, complete with floor-to-ceiling french doors leading to a private ocean-view balcony. Just beyond, the open family room, kitchen and breakfast nook feature updated finishes and plenty of custom built-ins for storage, including carrara marble countertops and a subzero refrigerator. The lush, private yard includes a putting green, outdoor chef’s kitchen including built-in barbeque and fridge, an oversize stone fireplace and picturesque pergola and spa. Upstairs, lounge by the fire and enjoy the ocean breezes at the full-service wet bar. The master suite has a fireplace, ocean and hillside views, a walk-in closet and new wool carpeting. This floor is complete with a custom study area with built-in desks and an additional two bedrooms and bathrooms with decorative finishes. The generous basement level of this home features a large family room with fireplace, a temperature-controlled custom wine cellar, additional office or sitting room, private guest quarters with full bath, a home gym and a three-car garage with additional storage area. A distinguished property with a stellar location close to local schools, shops and the beach, this home offers a turn-key opportunity for the selective buyer – a must-see! What does a hill section home look like in the tree section? Here it is. Create your california dream lifestyle in this one-of-a-kind 2019 contemporary napa farmhouse on this substantial 50 wide lot in the trees without the hill section price tag. This thoroughly custom 3-level home is a work of art inside and out. As you enter this estate-like home it is noticeably apparent that no detail was overlooked. Replete with shiplap and custom wainscoting woodwork, engineered wire brushed wide plank french oak floors, two backyard areas with room for a pool or sport court, a beautiful gourmet dream kitchen with neolith countertops and two islands, la cantina 4 panel sliding doors that open to the outdoor living area, a powder room, and a mud room completes just the main floor. Upstairs, the elegant master suite features a large walk-in closet, designer spa-style bath with dual sinks, soaking tub, and separate shower. Three additional bedrooms, two baths, and laundry room all with fine finishes are also on this floor. The basement is where all the fun starts with a full bar, media/family room, exquisite wine cellar, bedroom with en suite bath, powder room, and storage room. Property faces quiet 28th street. A 3-car garage that feature sliding doors lead you out to the second backyard entertainment space or sports court. 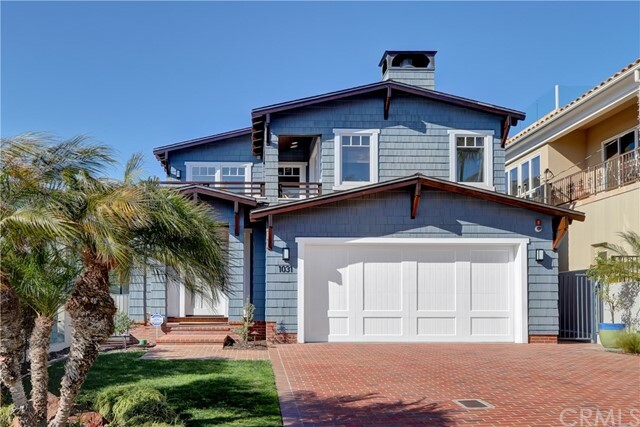 This home truly defines luxury living in manhattan beach- you won’t be able to stop talking about it! Welcome to this newly constructed gorgeous cape cod home located on a charming gaslamp street amongst the beautiful trees. The vast great room has a coffered ceiling, gas fireplace, and sliding glass doors opening to the backyard. The gourmet cook’s kitchen has stainless steel thermador appliances, walk-in pantry, breakfast counter seating, & a big stone covered center island. Upstairs, is the master suite, which has a dramatic vaulted ceiling, spacious walk-in closet with built-in drawers & shelves, a mosaic pearl glass fireplace, & french doors opening out to a deck with a view of the green treetops. The master bathroom contains his & her sinks with polished nickel plumbing fixtures, carrara grey marble countertops, large separate soaking tub, & shower. There are 3 more bedrooms upstairs and a wrap-around deck overlooking the backyard. Downstairs has a big basement with a media/family room, bonus room, & bathroom. This home is close to beach, north end shops & restaurants, sand dune park, and award-winning grandview elementary school. Experience a smooth blend of artful textures and superior materials impeccably paired with a single goal: to delight your senses at every turn. Built in 2013 by zivic, this sophisticated 5 bedroom, 4 bath, 2 half-bath coastal plantation home makes you feel as though you’ve entered a higher dimension of quality and sophistication. 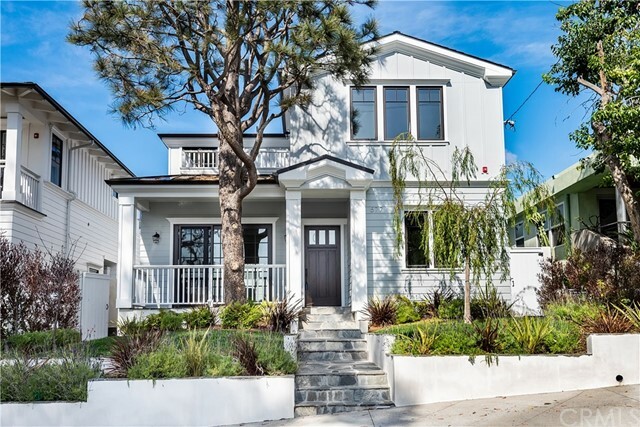 5,121sf of living space sits on a large lot on one of the best streets in the highly desired southwest quadrant of manhattan beach’s famed tree section. Enjoy quality details like wide plank oak flooring, an elegant dining room with custom hanging light fixture, and a floor-to-ceiling stone fireplace with floating hearth. Rift cut built-ins in the great room are complemented by a large, stone-faced fireplace. Large nano doors reveal an inviting covered stone patio with fireplace and outdoor tv. Beyond, enjoy a spacious backyard with supreme privacy—hard to find in the tree section. A sparkling kitchen has large breakfast nook, matching rift-cut cabinet fronts in kitchen and copious pro amenities. Full party basement has fun-sized great room, movie theater with stadium seating, kitchenette with sink and refreshment refrigerator. Your family will find peace and comfort in 5 bedrooms. One built out as a functional office upstairs. Your regal master suite has floor-to-ceiling stone in fireplace and exquisite master bath. If your standards are high, and your aesthetics refined, this rare home will satisfy all of your senses. Built to take advantage of the benefits of hill section living, this custom home features an expansive, open upper living and entertaining level that showcases views of the ocean beyond. Tastefully designed by the experts at waterleaf, the home features an updated interior that reflects the perfect blend of casual and elegant. A large living room deck allows for better enjoyment of the ocean views, while a very serene backyard offers a private retreat from an active daily routine. 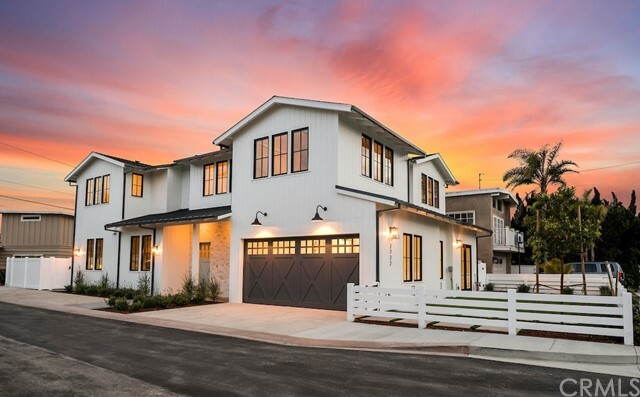 Elements such as seagrass wall coverings, rich white wainscoting, designer flooring selections, marble counters, custom window treatments, and an updated coastal color palate have transformed the classic lines of this california craftsman style home into an upscale, modern beach environment. The floorplan is intentionally set to capture and enjoy the ocean views from many vantage points throughout the entertaining and gathering areas. A custom kitchen, formal dining area, living room and family room offer seamless transitional spaces intended to keep the household engaged throughout the day. The main entry level houses two main bedrooms that share a jack and jill bath, a full sized laundry/utility room, and the welcoming master suite. The basement offers a sun-filled, cheerful family retreat; an adaptable space that can grow with the household throughout the years. An ideal hill section location just blocks from robinson elementary and a short walk or bike ride downtown or to the beach.